Discount available! Recommend GPS SHIELD to your friends and get your Discount. It allows equipping the Arduino board with a GPS receiver module. Thanks to the libraries available on the net, applications such as data loggers, locators, etc. can easily be implemented. 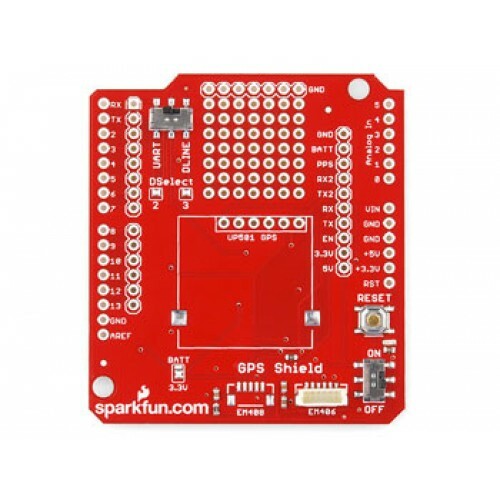 The board is equipped with a connector for mounting the GPS receiver 8160-EM406A, a small prototyping area, the space for mounting the UP501 GPS module and the pitches for mounting the connectors for the EM-408 and the EB- 85A. On the board are available the pins (RX, TX, PPS, etc.) of the GPS receiver, an ON / OFF switch for the GPS module and a reset button for the Arduino. Warning! 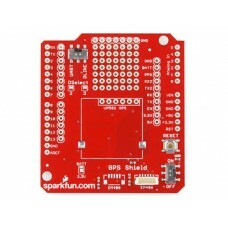 the GPS module and the 6 and 8-pin connectors for the connection with Arduino are not included (see related products). Fishino MEGA is the second board of Fishino family. It’s a board 100% com..